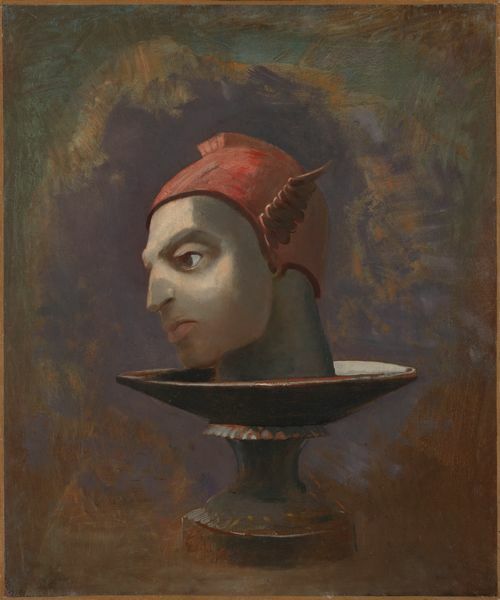 The Kröller-Müller Museum was recently able to acquire Tête de Persée (Head of Perseus), circa 1875, oil on canvas (54.7 x 45.7 cm) by Odilon Redon (Bordeaux 1840-Paris 1916). The acquisition was was made possible by the participants of the BankGiro Lottery. Tête de Persée was purchased from Eric Gillis Fine Art in Brussels for the sum of € 540,000. 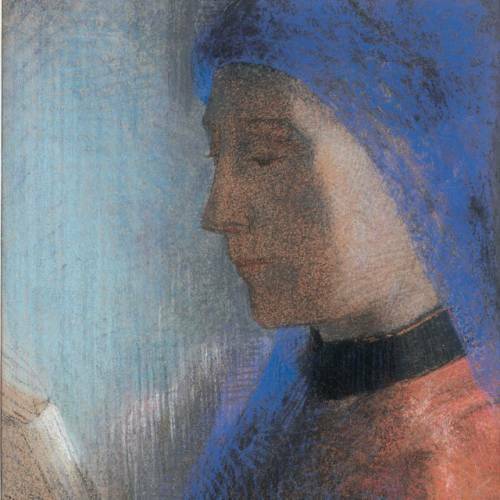 The work will be on display from 2 June in the exhibition Odilon Redon. La littérature et la musique. Odilon Redon began as a draughtsman, learned to make prints from his tutor Rodolphe Bresdin and worked for a long time exclusively in black and white, with lithography as his main medium. It was not until the 1890s that colour began to play a greater role in his work. Tête de Persée is an exceptional work in Redon’s oeuvre, because it is a very early work in colour and one of the earliest versions of Redon’s characteristic theme of the ‘loose’ or severed head. This theme appears in his work in different forms and with constantly changing meanings. As the head of John the Baptist or of Orpheus, or with no specific identity or meaning. As is often the case with Redon, Tête de Persée tells no specific story; it is up to the observer to interpret the depiction. In this painting, the head of the Greek demigod Perseus is placed on a sacrificial platter, against a cloudy, indefinable background. He seems lost in thought, unaware of his surroundings. A bright white light illuminates his face and the edge and back of the platter. The painting is strongly reminiscent of the traditional representations of John the Baptist, whose head was severed at the request of Salomé. Perseus, however, did not meet such a gruesome fate. He in turn decapitated Medusa, one of the three Gorgons. By combining the two histories – from classical mythology and the New Testament – a mysterious and original depiction is created. The Kröller-Müller Museum has a sizeable Redon collection, the majority of which was assembled by Helene Kröller-Müller. The early date and the theme make Tête de Persée an important addition to the existing collection, particularly in relation to two somewhat later depictions of the ‘loose’ head: the drawings Tête de martyr (Head of a martyr, 1877) and Tête d’Orphée flottant sur l’eau (Head of Orpheus floating in the water, 1881). Tête de Persée was purchased from Eric Gillis Fine Art in Brussels, following a presentation at the TEFAF 2018, where the painting was on display. It had been in the possession of the French collector of surrealist art, Jacques Ulmann, since 1948. Read more about the exhibition Odilon Redon. La littérature et la musique.